WASHINGTON – One day after Boeing had confirmed delays in test flights on his commercial vehicle, NASA said the company's occupied test aircraft will have a longer stay at the station when it flies. 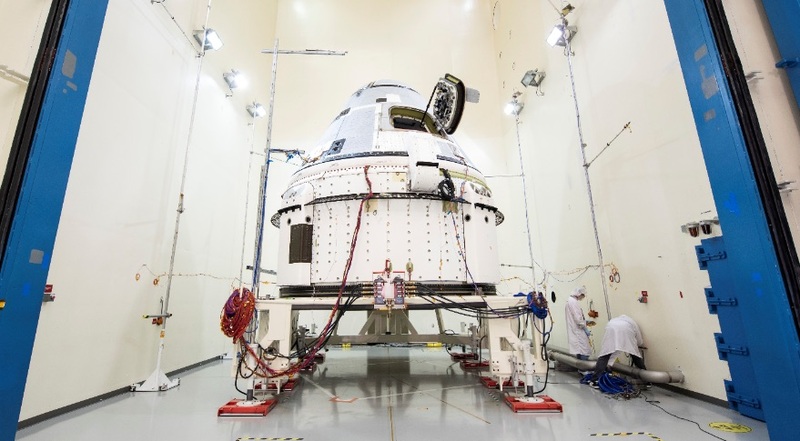 In a April 3 statement, NASA said that Crew Flight Test of Boeing's CST-100 Starliner, which is expected to be faster than last year, will be a prolonged flight that could potentially remain at the station for months. The precise duration of the mission will be determined "at a later date," the agency said. A year ago, NASA announced that it was working with Boeing to investigate the possibility of an expanded Starliner test aircraft at the station. The expanded mission will effectively make the test flight a crew's rotation mission as NASA's access to Soyuz seats expires. The two NASA astronauts to fly on Crew Flight Test, Nicole Mann and Mike Fincke, have been on ISS systems to prepare for a potentially extended stay at the station. They have been joined by the third crew member for that mission, Boeing test pilot and former NASA astronaut Chris Ferguson. "NASA's assessment of expanding the mission proved to be technically accomplished without compromising on crew safety," Phil McAlister, director of the commercial space department at NASA's headquarters, stated in the statement. "Flight test for business crews, along with the added Soyuz capabilities, helps us outweigh more flexibility for our future generation's commercial systems under the Commercial Crew Program." NASA issued a contract notice in February that it planned to purchase two additional Soyuz seats from Russian state-owned company Roscosmos, seats that the Russians did not plan to use for their own cosmonauts. NASA said at that time that these seats would ensure "uninterrupted access to the ISS in case of delays in US launches of commercial crews." Russian media have also reported that NASA has contacted Roscosmos to adapt the schedule and crews of upcoming Soyuz missions to the station, including the possibility that one or more astronauts remain at the station for longer than standard six-month crew rotation. NASA has not confirmed any changes to these plans. The NASA Declaration came one day after Boeing said it delayed the first unclear Starliner test flight, known as the Orbital Flight Test, from this spring to August. NASA said "limited launch opportunities in April and May" to the mission at an Atlas 5, and a national security load scheduled to start from the same pillow in June, resulted in the delay. The latest official update of commercial crew members test flight plans, released by NASA on February 6, stated that Orbital Flight Test was scheduled for no earlier than April. An April launch was unlikely, however, regardless of the spacecraft's and the starting combat's preparedness due to heavy traffic at the station in the form of Progress, Cygnus and Dragon cargo missions. While Starliner, who wants to fly on the Orbital Flight Test, is "almost complete", according to the agency's statement, Boeing will take additional time to carry out further testing of the spacecraft. "While we have already made significant progress this year, this shift gives us time to continue building a safe spacecraft capable of transporting crews over and over again after a successful unclear test without adding unnecessary timetable printing , said John Mulholland, vice president and presenter of Boeing's commercial crew program, in the statement. mission in March, the agency said in its April 3 statement that it and SpaceX will "be expected To reassess its measurement dates in the next few weeks. "A SpaceX spokesman said on April 3 that it is still working on the previous schedule. "SpaceX is on its way to a test of Crew Dragon's abortion capacity in June and hardware preparedness for Crew Dragon's second demonstration mission to the space station in July."